Premiered two years apart in the early 1890s, Cavalleria Rusticana and Pagliacci soon became conjoined as a perennially successful double bill. 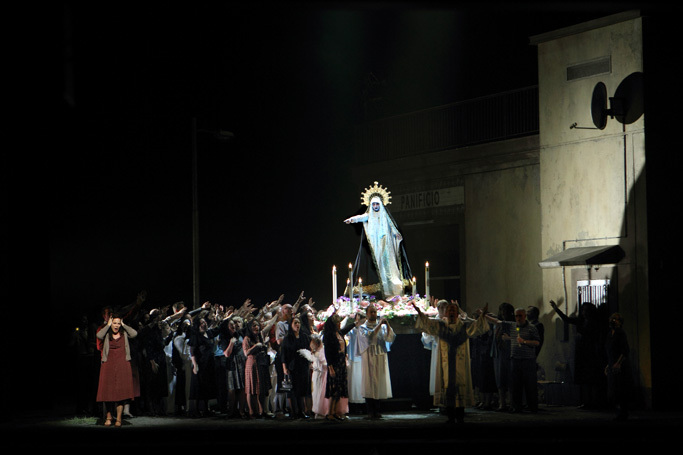 Rodula Gaitanou’s vital revival of Damiano Michieletto’s 2015 production reminds audiences how powerful both pieces are. 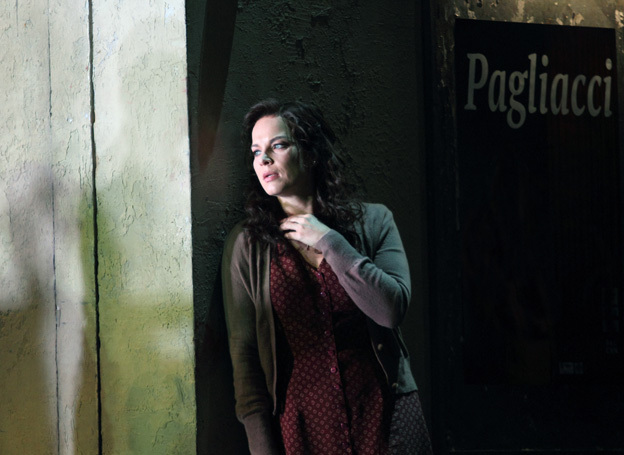 Michieletto links these disparate stories of Italian village life by having characters in one piece reappear silently in the other – updating the original settings to the late 20th century does no harm. 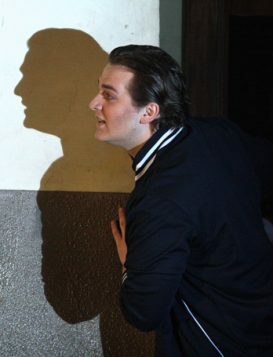 There is, however, occasional fussiness. 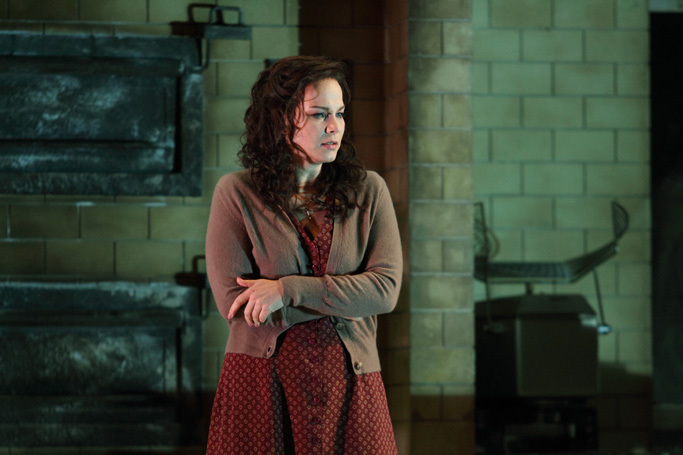 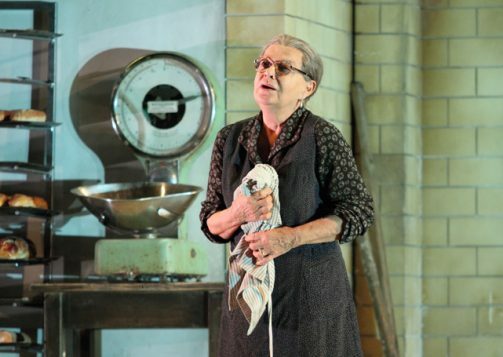 Elena Zilio’s staunch Mamma Lucia pointlessly tears dough in the bakery while Elina Garanca’s luxuriantly sung Santuzza pours out her heart to her, and the coming to life of the statue of the Virgin is distinctly tacky. 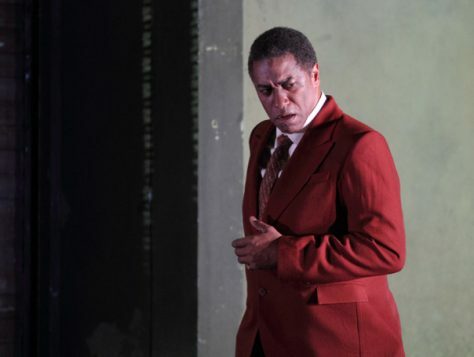 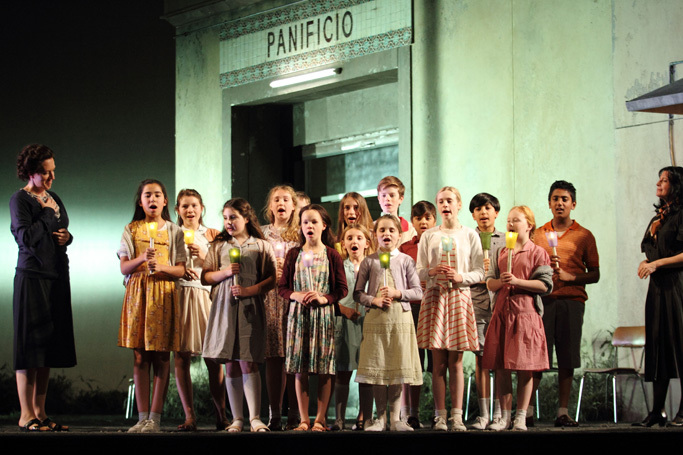 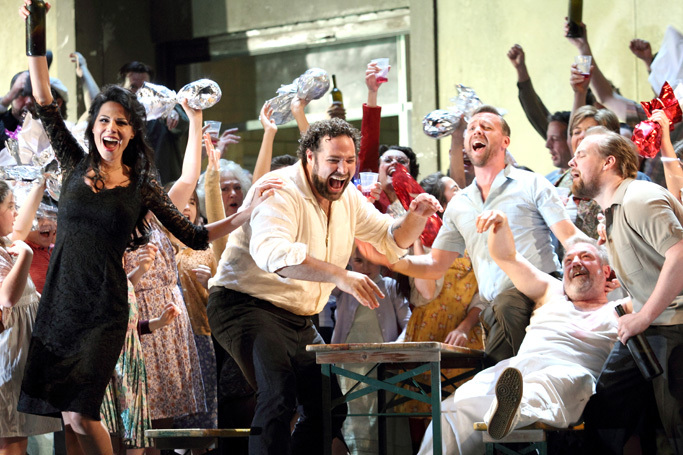 Otherwise, both operas are fortunate in having so many committed actors in their casts. 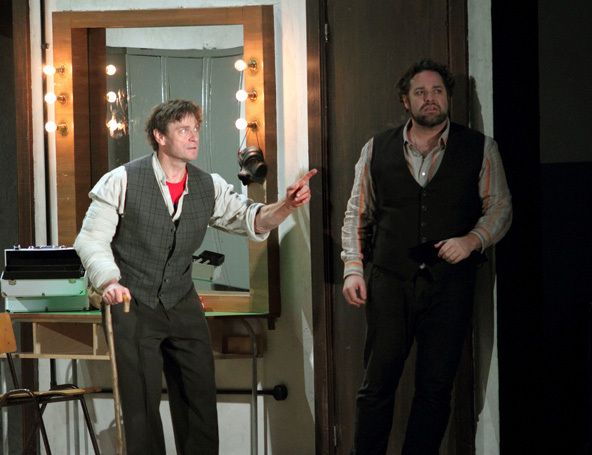 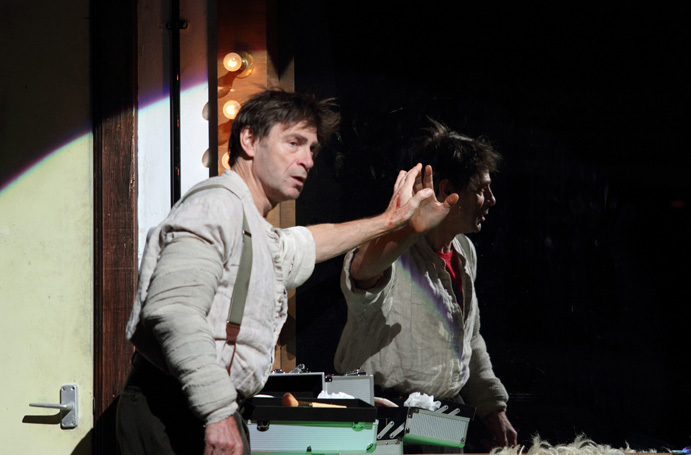 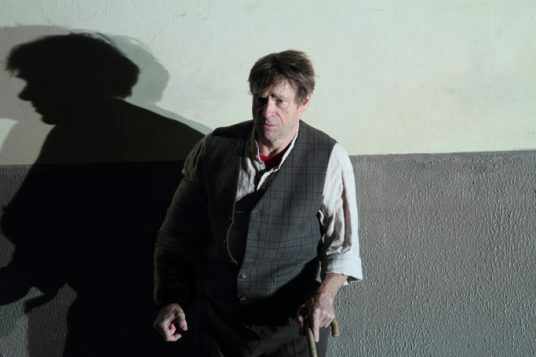 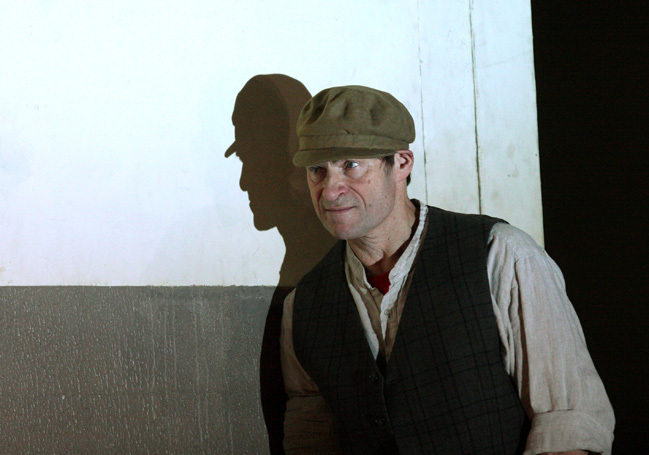 Returning after an absence from this stage, Simon Keenlyside not only offers a vocally authoritative Tonio but his disturbingly sleazy characterisation is unmissable. 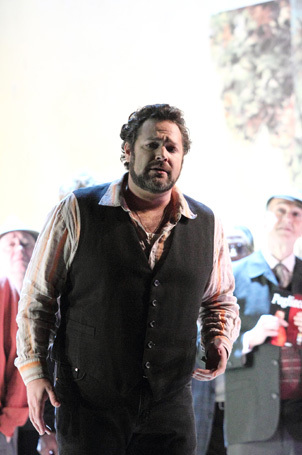 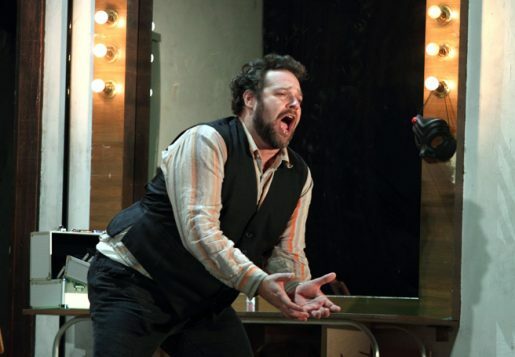 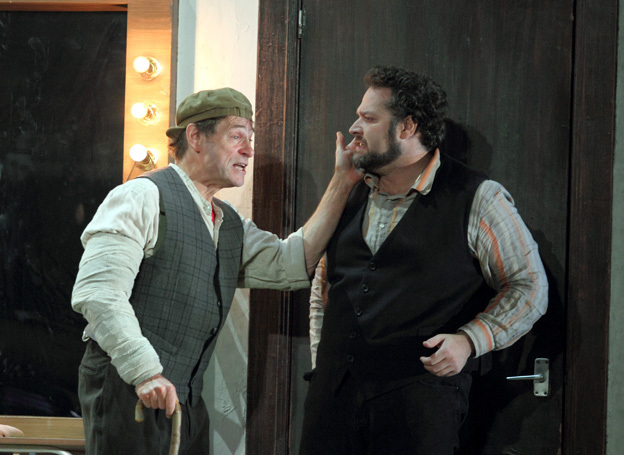 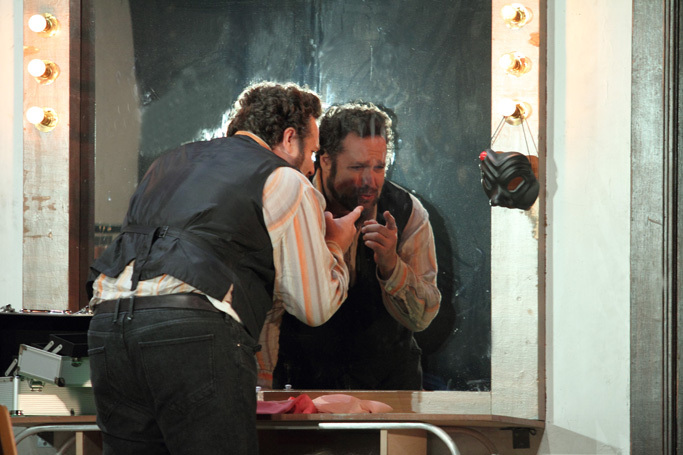 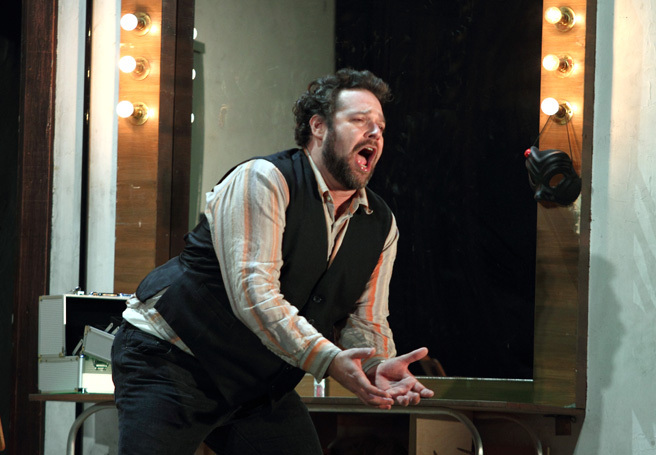 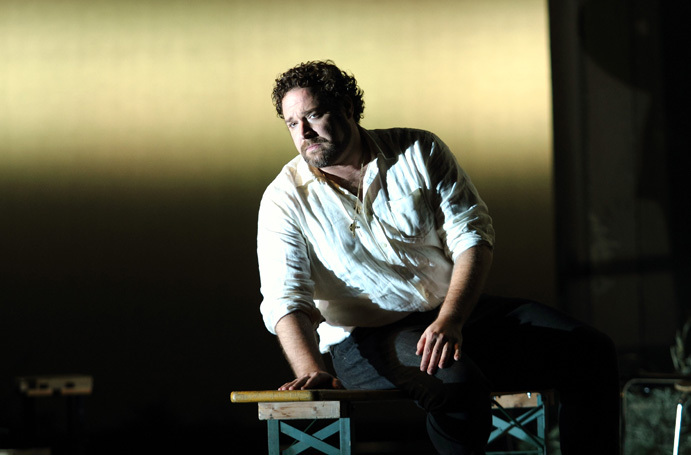 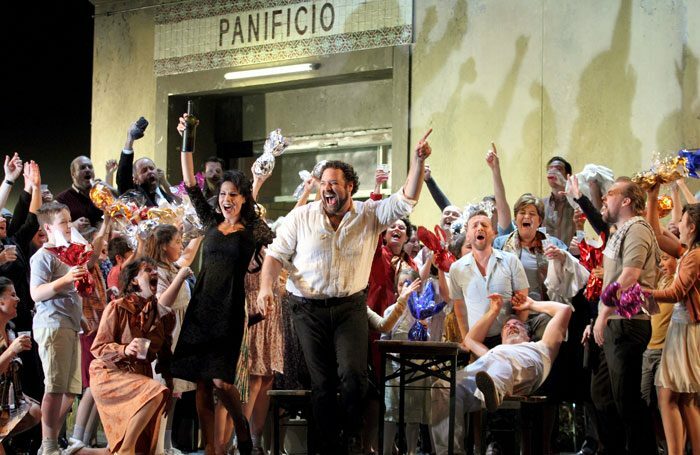 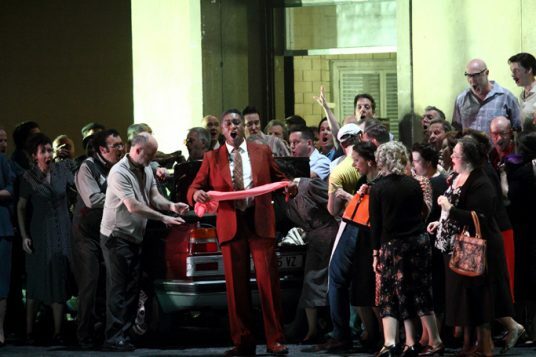 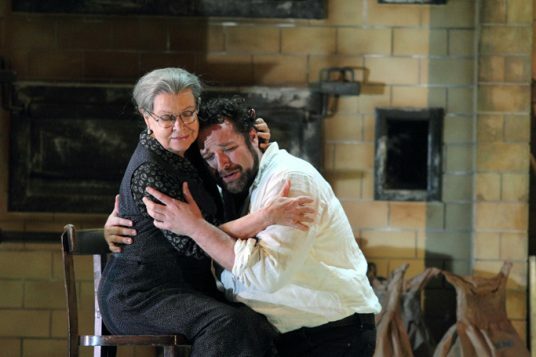 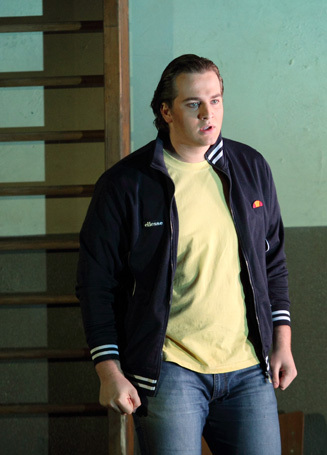 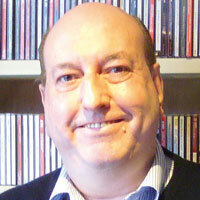 Yet the overall vocal and dramatic honours must go to Bryan Hymel, originally cast as Turiddu in Mascagni’s opera, who also sings the role of Canio in Pagliacci to replace the absent Fabio Sartori. It’s a tour-de-force that he carries off with aplomb. 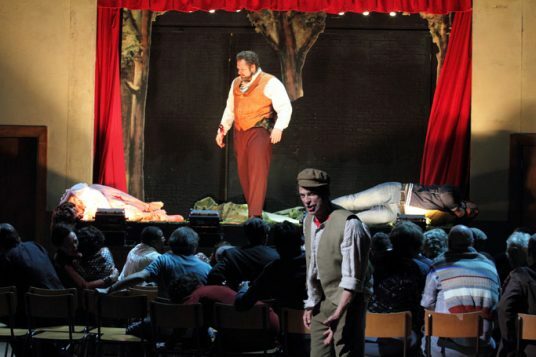 Rarely has the final scene of Leoncavallo’s opera been so terrifying. 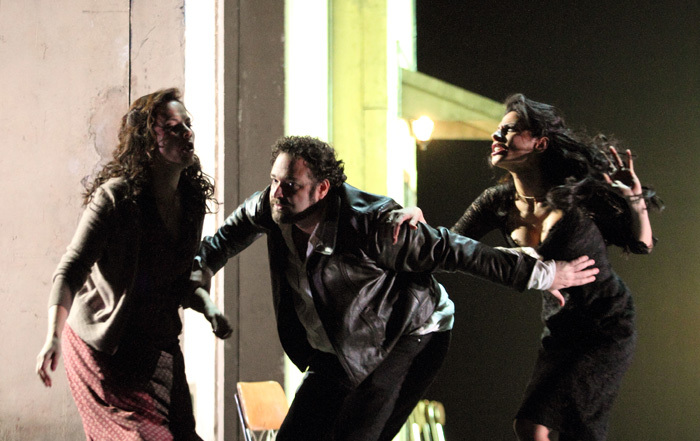 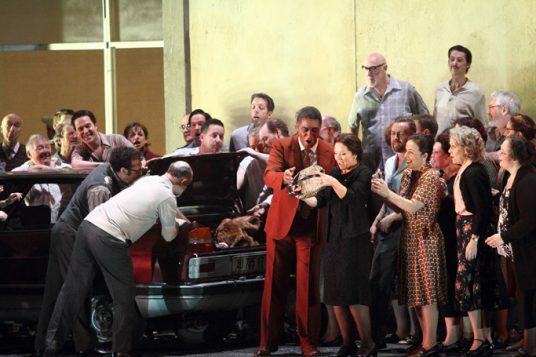 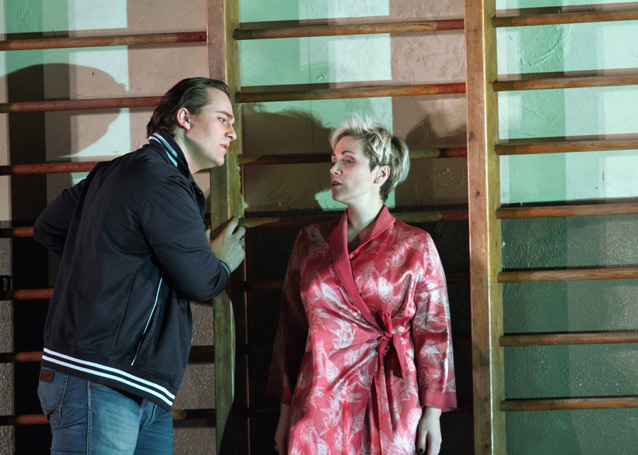 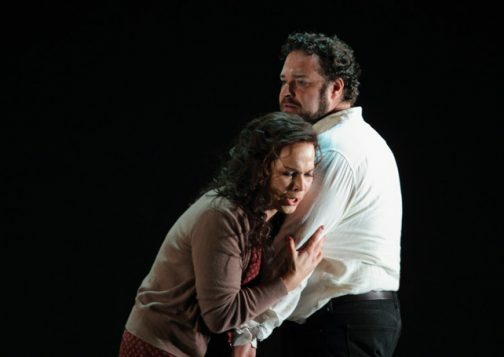 Carmen Giannattasio’s impassioned Nedda also scores highly, giving as good as she gets until felled by the crazed Canio’s vicious blows, while Polish baritone Andrzej Filonczyk brings warmth and lyricism to her equally doomed lover, Silvio. 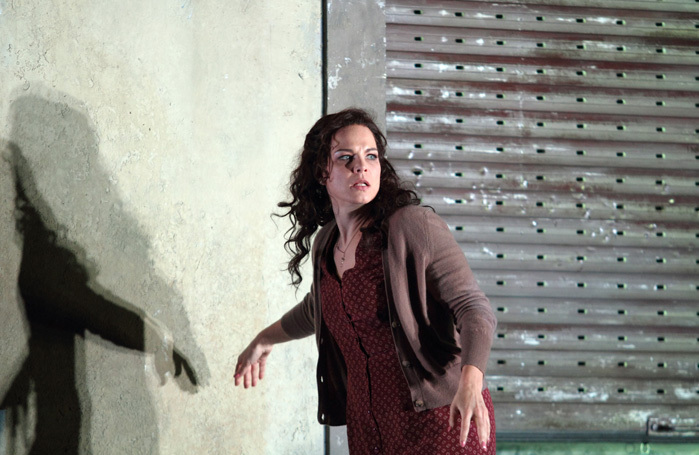 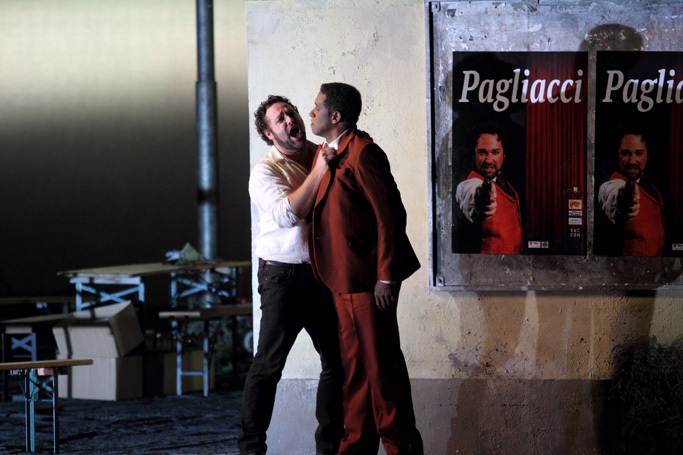 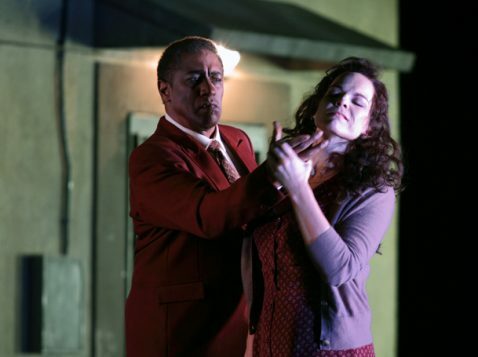 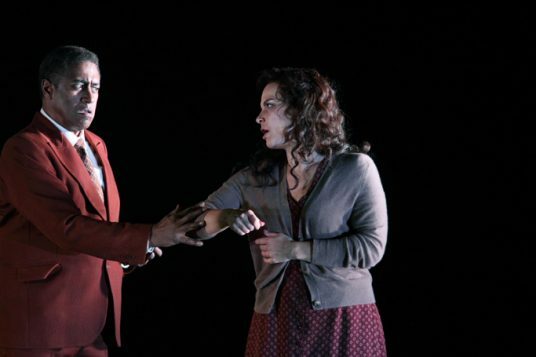 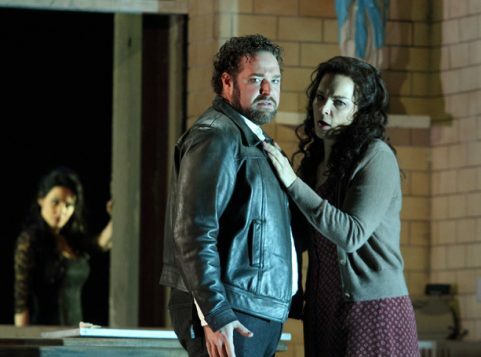 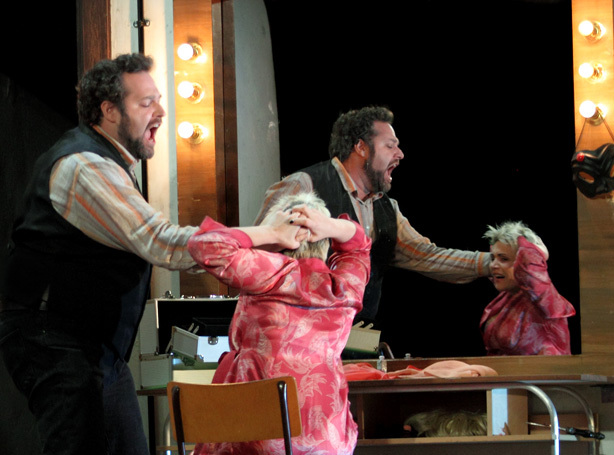 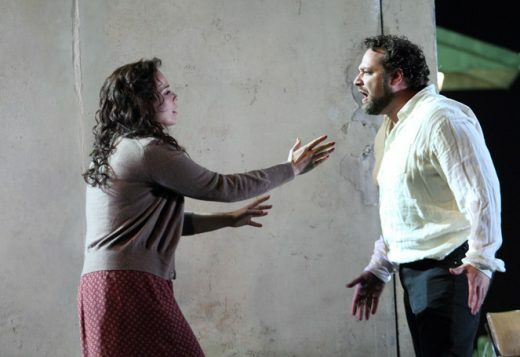 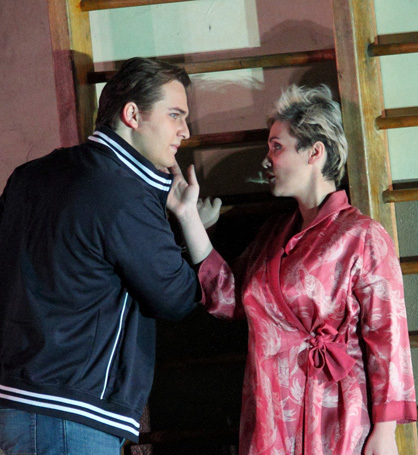 Meanwhile in Cavalleria, Martina Belli shines as Santuzza’s scornful rival Lola while Mark S Doss gives Alfio genuine bite. Less impressive is some occasionally untidy orchestral playing and rhythmically slack conducting from Daniel Oren – but on stage, it’s an exceptional evening.